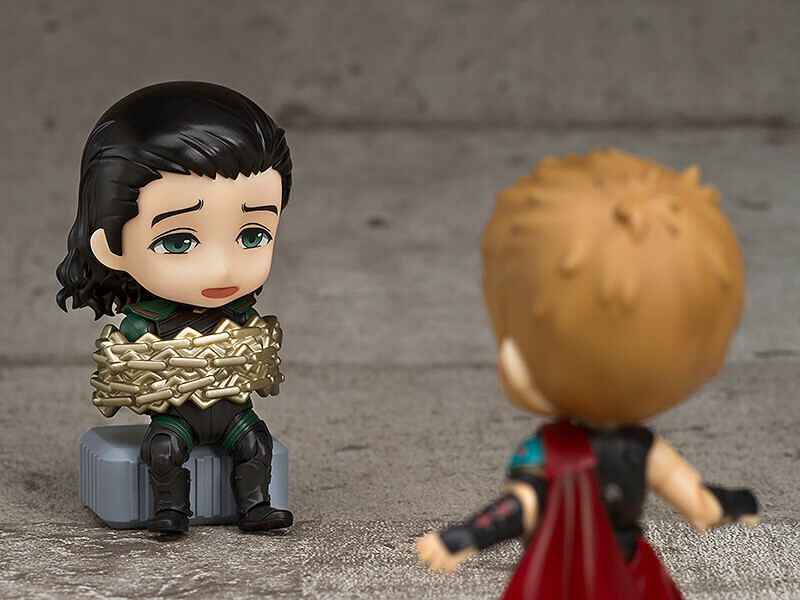 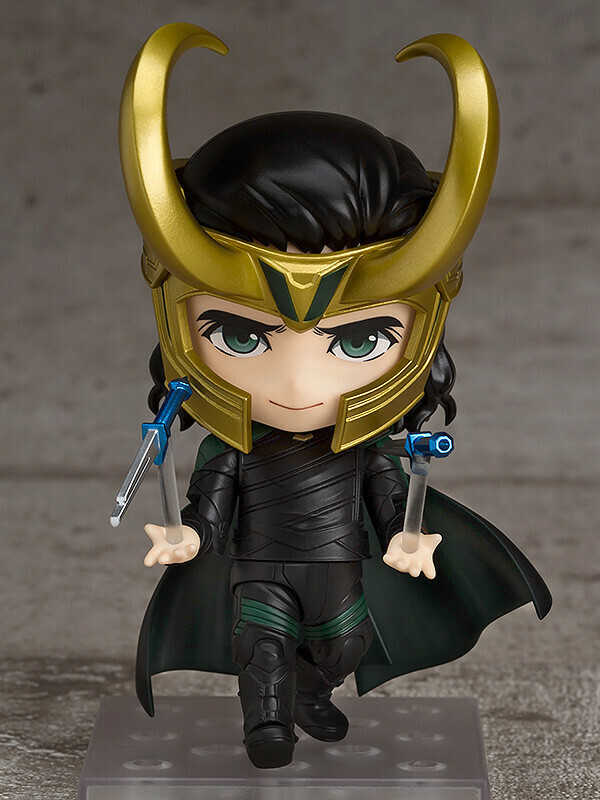 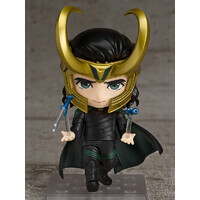 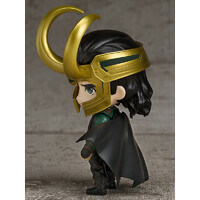 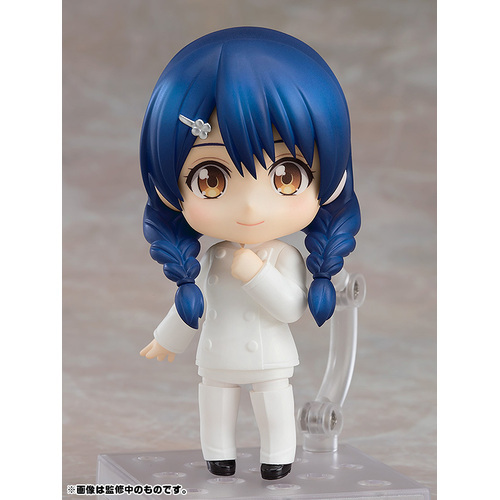 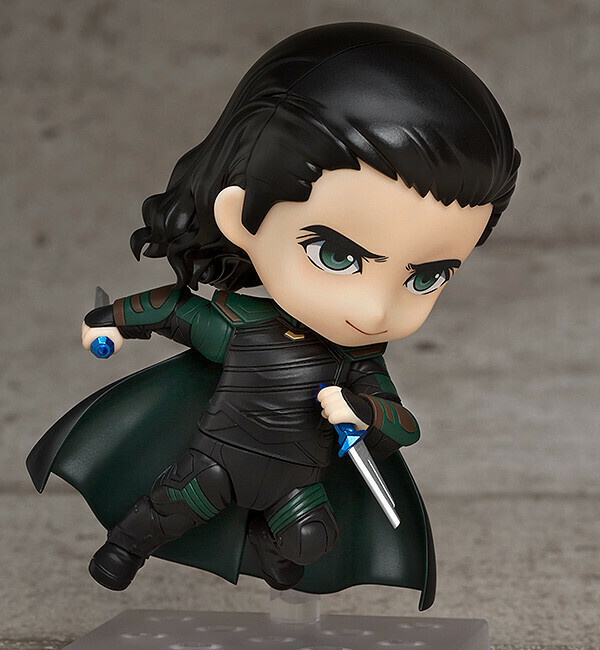 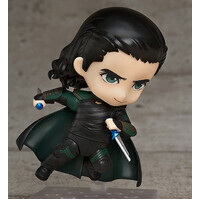 From the hit movie "Mighty Thor: Battle Royal" comes a rerelease of the Nendoroid of Loki! 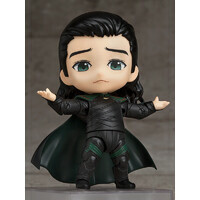 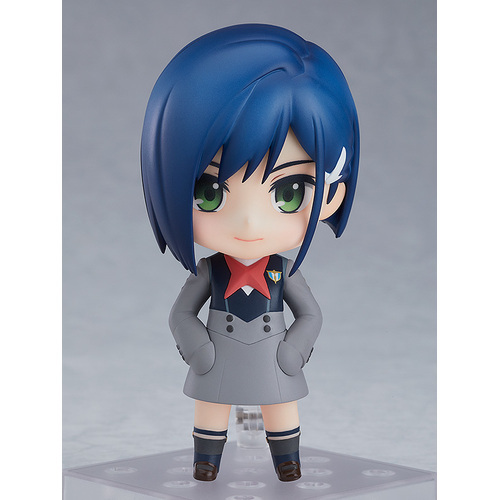 He comes with three face plates that all capture his personality perfectly including a standard glaring expression, a condescending expression as well as the listless expression from his famous "surprise" line! 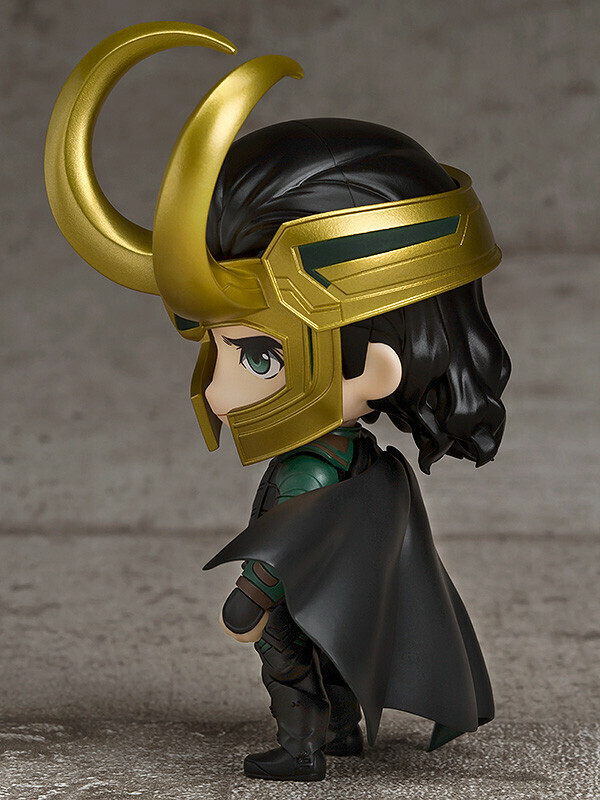 His iconic helm with two horns can be attached onto the face plates and he can also be displayed without the helm allowing for many different posing options! 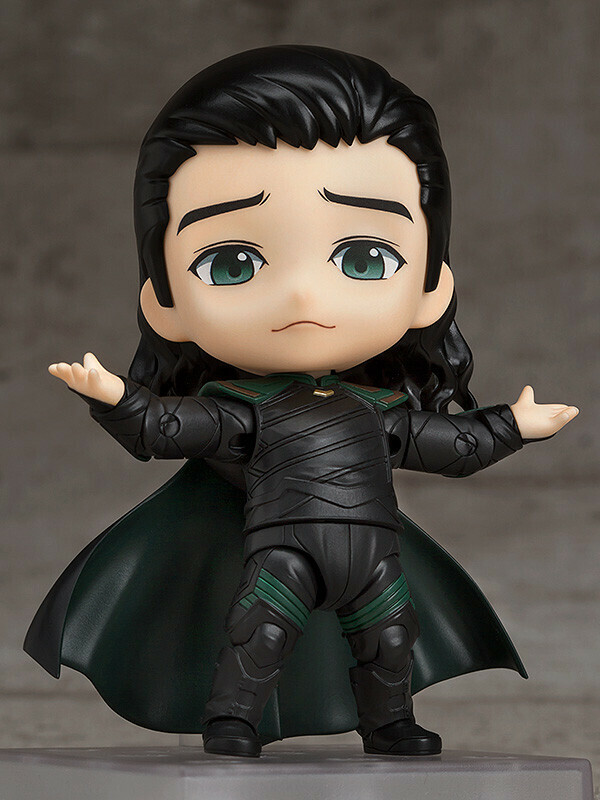 He comes with two knifes connected to his hands with transparent parts to recreate him spinning the knives in the air, and he also comes with the box and chain to complete the "surprise" scene. 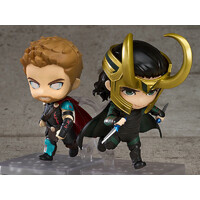 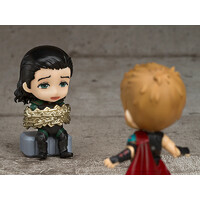 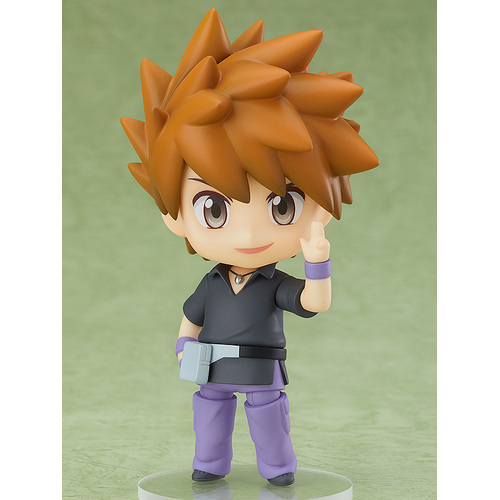 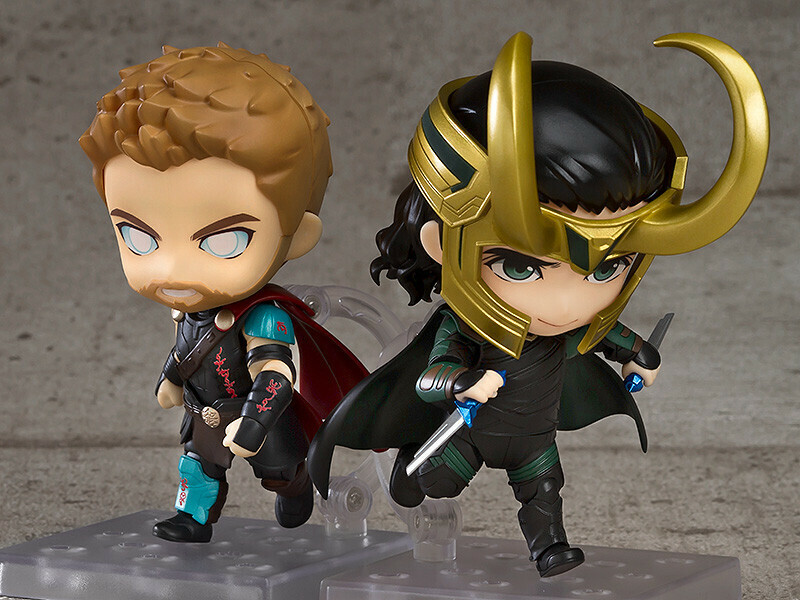 Be sure to display him with Nendoroid Thor: Thor Battle Royal Edition and enjoy the two brothers together!